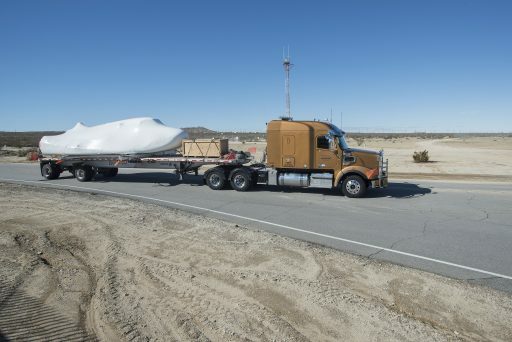 Sierra Nevada’s Dream Chaser has returned to Edwards Air Force Base in California for a busy Spring of free flight and landing tests on the spaceplane’s path toward orbital missions expected to begin later this decade followed by cargo missions to the International Space Station under NASA’s Commercial Resupply Services Program. Dream Chaser was chosen as one of three vehicles for the second round of CRS missions to the Space Station after Sierra Nevada showed great persistence in continuing the vehicle’s development even after losing in NASA’s Commercial Crew Program. 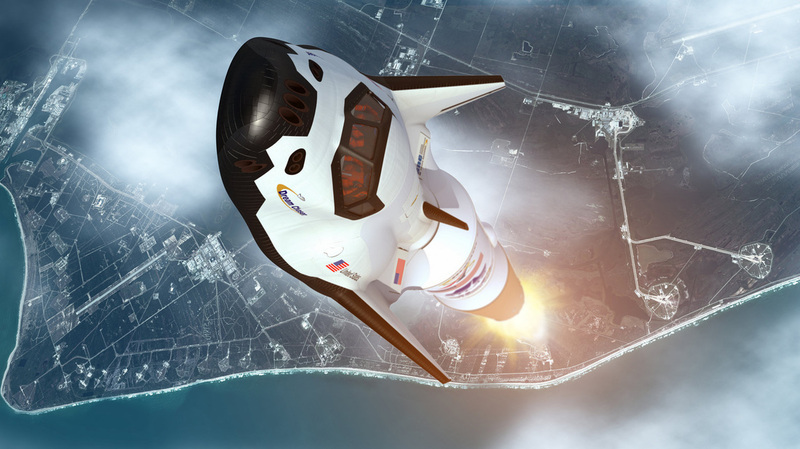 The spaceplane was cut from the Commercial Crew Transportation Capabilities contract awards in 2014 in favor of SpaceX and Boeing, but NASA agreed to continue non-financial support of the Dream Chaser Program, ultimately leading to the selection as part of CRS-2 in January 2016. NASA decided to expand the commercial fleet supplying ISS after launch failures in 2013 and 2014 have shown that redundancy is critical in ensuring the Space Station can remain at a full crew and running at full steam in terms of the science performed on board. 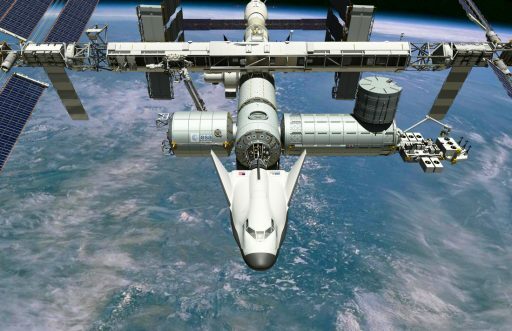 Sierra Nevada and NASA are currently working together under a Space Act Agreement to take Dream Chaser to its Critical Design Review. The agreement was subsequently extended to 2017 to cover the advanced testing phase of the program. As part of its CRS-2 bid, Sierra Nevada outlined the advantages of the Dream Chaser space plane including its flexibility in supporting either docking or berthing to the Space Station and its ability to return scientific experiments to Earth in a low-G re-entry and landing environment which may be relevant for a number of future studies to be deployed to ISS. With its delivery to NASA Armstrong on January 25, Dream Chaser is pushing into a final phase of pre-launch testing, taking advantage of previous testing of the Engineering Test Article (ETA) of the miniature spaceplane. The original ETA went through tow tests on the runway at Edwards in 2013 followed by captive carry test flights with Dream Chaser suspended under a helicopter. Dream Chaser made its first free flight on October 26, 2013 when it was lifted to altitude by a cargo chopper before being dropped to enter a glide path toward the runway in a verification of the spaceplane’s guidance system and controls in use during atmospheric flight. The autonomous flight delivered a wealth of data on Dream Chaser’s low-atmosphere aerodynamics and flight control responses in different flight environments through flare-up and landing. All test objectives for the first free flight were met, but the program suffered a setback when the left main gear failed to deploy – a non-flight item that had been borrowed from the F-5E Tiger fighter jet for the initial Dream Chaser tests before the flight-like system would be available. 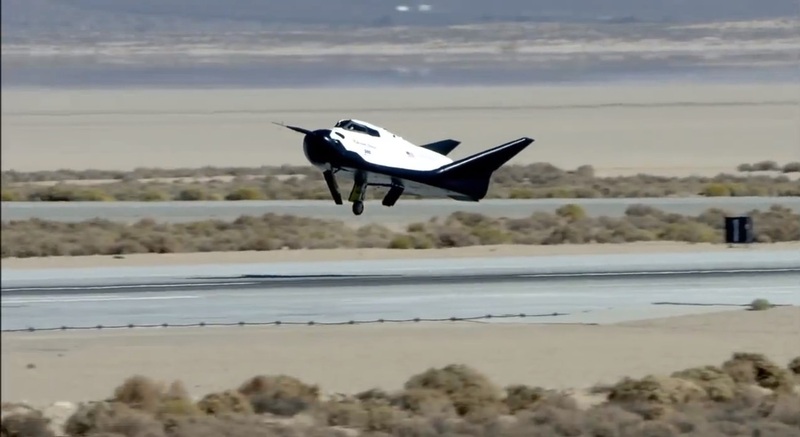 Dream Chaser managed to touch down on only one gear, but eventually skidded off the runway and somersaulted in the desert sand, suffering some structural damage. Nonetheless, the first free flight test was deemed a success and earned Sierra Nevada a checkmark behind their next NASA contract milestone. After repairs, the ETA received its thermal protection system in October 2015 as it progressed toward the next phase of testing. As of the same time, the first Dream Chaser to fly to space, known as the Flight Test Article, was undergoing assembly at the Michoud Assembly Facility in Louisiana. Sierra Nevada elected to put the ETA through a second round of ground-based tests and captive carry flights to gather additional data with a more flight-like vehicle. These tests will closely mirror those performed in 2013 starting with a series of tow tests with increasing speeds to verify the performance of the landing gear before the aerodynamics of the vehicle are tested in captive carry flights. Only if all these tests are satisfactory will Dream Chaser fly freely again, being lifted by a helicopter to a pre-determined release position for an unpowered flight of around one minute. Initially, Dream Chaser will pitch down steeply to build speed before entering a simulated approach to test out all flight controls and automated landing systems. The aim of the test is to have Dream Chaser line up with runway 22L, flare up its nose just around 100 meters in altitude and come to a gentle landing and rollout. Per the current schedule and funding outlook, Sierra Nevada expects Dream Chaser to fly its first ISS cargo mission in the second half of 2019. In presentations given in 2016, NASA indicated that the first Dream Chaser missions would make use of a robotic capture and berthing before upgrading to autonomous docking of the spacecraft. Sierra Nevada is also working with German satellite builder OHB Systems in a long-term partnership to study possible application of the Dream Chaser design for various crewed and uncrewed flights to Low Earth Orbit to pursue scientific experiments, carry out servicing missions to orbiting satellites and remove space debris from cluttered orbital regimes. 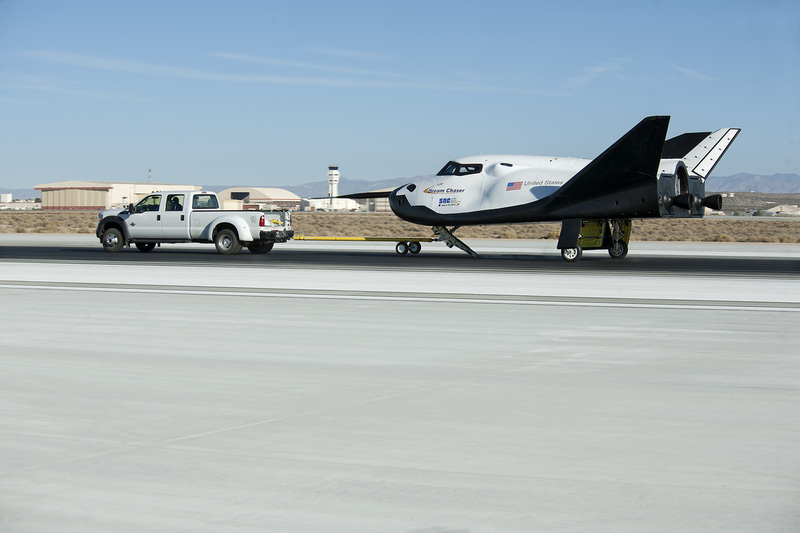 This partnership, extended until at least April 2017, resulted in the highest praise for Dream Chaser’s potential applications.